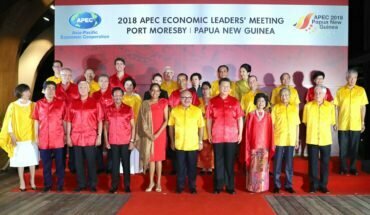 Vietnam as model for North Korea ? 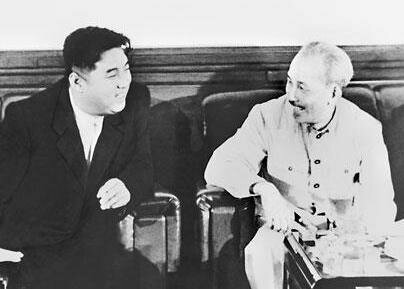 When Kim met Ho – both men tried to achieve national unification on their own terms. 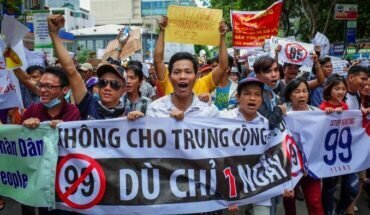 For a country with one of the most oppressive political systems in Asia, Vietnam is not often held up as a model for emulation by other countries. So it is with some enthusiasm that Vietnamese officials have embraced reports that the North Korean leader, Kim Jong-un, sees Vietnam as an example of how his country should develop. The comment was reportedly made by Kim during his meeting last month at the border post of Panmunjom with the South Korean president, Moon Jae-in. With one of the harshest media environments in the world, high levels of corruption and a political elite free from any electoral challenge or outside scrutiny, Vietnam is hardly the envy of citizens in neighbouring Southeast Asian countries. And yet for the average North Korean, dragooned from infancy into worship of the Kim dynasty and denied even the right to travel in his own country, Vietnam would at first appear a land of heady freedoms – on the proviso that he didn’t actively challenge the writ of the government. Of course, it’s not the relative lack of totalitarian control on all aspects of a citizen’s life that is likely to have sold the Vietnam model to the young dictator. Rather his eye appears to have been caught by Vietnam’s adoption of market reforms since the 1980s, while at the same time maintaining the unchallenged power of the Communist party. Hanoi’s successful pursuit of closer ties with the United States, in order to balance the ambitions of an overbearing China, would also have much appeal for Kim as he attempts to leverage his country’s nuclear weapons programme for economic and diplomatic gains. Vietnam has indicated, through statements by former officials and others close to the leadership, that it would be more than willing to play a role in guiding North Korea through the necessary changes. But diplomats from Vietnam and elsewhere should be wary about taking the words of the North Korean leader at face value. His current charm offensive, to be capped by his upcoming meeting with President Trump, may have been greeted with euphoria by those hoping for peace on the peninsula. But Kim still presides over a gulag thought to hold some hundred thousand political prisoners and has shown a breathtaking degree of ruthlessness – highlighted by the execution of his own uncle, the apparent murder of his half-brother, and the despatch of other officials who incurred his wrath. Kim Jong-un may indeed want reconciliation with the United States, but principally as a step to securing the long term aim of North Korean policy – securing the withdrawal of American troops from the South and evening the odds with its rival state in Seoul. The South is much richer and has a bigger population than the north, but crucially lacks nuclear weapons. 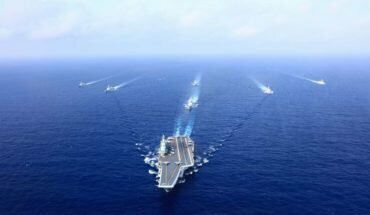 It could find itself struggling to contain the ambitions of a revived north in the absence of an American military presence. Kim’s grand-father, Kim Il-sung, took great heart from the American withdrawal from Vietnam in 1973 and the final victory of North Vietnam two years later. He never gave up hope of reunifying Korea under northern control. The younger Kim’s choice of Vietnam as a model – rather than Germany, where it was the Communist portion that was swallowed up and its leaders cashiered – should give pause for thought for those who think that they know the limits of the young leader’s ambitions.